Bengaluru, ​5​th June, 2018 – Manipal Global Education Services (MaGE), India’s leading higher educational and training services provider, today announced the appointment of Ravi Panchanadan as Managing Director and CEO of the Manipal Global Education Services. Ravi had been appointed the President and COO of MaGE in 2017. Prior to that, he had handled both consumer and enterprise businesses for MaGE, in India and abroad. He has headed universities in Malaysia as well as MENA region, apart from leading professional learning and assessment businesses in India. Ravi, who has close to three decades of experience across FMCG, IT & ITES industries, brings to his new role a thorough understanding of the best business practices and the latest technologies. This experience will help him expand the existing businesses and develop new engines of growth, both in the national and international markets. Ravi’s business acumen, proven record in setting up new businesses from scratch and building them to profitable propositions, will help MaGE achieve its vision of empowering learners and transforming lives. Ravi has taken over from S Vaitheeswaran, who had been heading the company for six years. 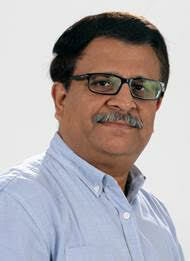 Vaitheeswaran moves to his new role as the Group CEO – Manipal Education & Medical Group (MEMG) at the corporate office. MaGE has been witnessing a new phase of growth over the last few years, having forayed into diverse segments and grown rapidly. At the same time, it has leveraged technology to empower students with its quality education and innovative learning methodologies. Manipal Global Education Services Pvt Ltd. provides customized training solutions for industry partners as well as direct-to-learner diplomas and certificate programs in various fields such as information technology, finance and management. The company offers higher education services that include a range of services for educational institutions in India; corporate training programs in partnership with major banks and other institutions; vocational training across a number of sectors; and technology-driven services in areas, such as testing and education delivery. Prior to taking up this role, Ravi managed consumer as well as enterprise businesses for MaGE. He was the Director & CEO of Manipal Education (Middle East & Africa Region), Manipal International University, Malaysia as well as the Chief Executive Officer of MeritTrac Services (a 100% subsidiary of MaGE). Ravi’s previous role was with Infosys BPM in India where he was the SBU Head for the Manufacturing & ECS business verticals which together contributed to ~60% of the Infosys BPO business. His key strengths are P&L management, global client engagement, new client acquisitions, operations and people management. He joined Infosys, to start a new business line, as a Practice Head for the Sourcing & Procurement (S&P) practice in 2008, which he grew from scratch to $35 Million in just three years. He is a well-known thought leader in the Distribution and Supply Chain industry globally. Prior to joining Infosys, Ravi was with Intel (2003 – 2008), where, apart from working on putting India on the Intel Supplier sourcing map, he was responsible for high value strategic contracts for Intel and for setting up and leading global Innovation for the materials group. Prior to Intel, Panchanadan was with Hindustan Unilever Ltd. (1990 – 2003) where he has held several senior leadership positions in IT, Supply Chain, Distribution, Operations, Commercial and new business development areas. Ravi is a Bachelor of Electrical Engineering (Hons.) from Jadavpur University, Kolkata and holds a Post Graduate Diploma in Management from XLRI, Jamshedpur.